When their adult children arrive to arrange the funeral, they discover boxes and boxes full of love letters that their father wrote to their mother each week on Wednesday. As they begin to open and read the letters, the children begin to uncover the shocking truth about the past. In addition, each one must deal with present-day challenges. Matthew has a troubled marriage, Samantha is a single mother, and Malcolm is the black sheep of the family who has returned home after a mysterious two-year absence. Everyday Lives, Everyday Values Interview with Jason F. Wright, author of The Wednesday Letters. Program originally aired on KSL Radio on October 14, 2007. Doug: And a warm welcome to the program! Great to have you along on Everyday Lives, Everyday Values. One of our favorite people back with us — the author of The Wednesday Letters now, but in the past we have talked about Christmas Jars. We are delighted to have Jason Wright back with us. Jason, welcome to the program! Good to have you here. Jason: Oh, thank you, sir, for having us back. We are privileged. Doug: You know, there are so many things I want to talk to you about today — and certainly the new book — and you and I could talk politics forever. But I want to back up just a little bit when Zack, our producer, and Angie, also, who helps set up these programs for us — when I heard that you were going to be here I told Zack especially, “Find out when the movie” — you know what a movie geek I am. How do we stand on movies with Christmas Jars? Now, first of all, let’s talk about that book. It is just a phenomenon. It has just taken off — an amazing bestseller. Give us a little update on how the book stands and where we are on sales and its acceptance, which has just been universal. Jason: Well, thank you for asking about “Christmas Jars.” That’s my favorite topic. That book will always — as excited as I am about “Wednesday Letters,” boy, ‘“Christmas Jars” will always have a real special place in my heart, and I appreciate the good you did for the book by having us on the program last year. The book is now set, by the end of this year, to be about half a million copies in print. Most of those will actually be in people’s homes. It is selling through very, very well. We have been very fortunate that the word of mouth on the book is good and that people are not just reading the book, but they are setting it down on the counter and getting a jar and putting their change in it — and I would venture a guess that a large number of your listeners right now at home have a jar on the counter with change building up for a Christmas Eve delivery. Doug: It really is an exciting concept and it opens up so many avenues of thoughts about how we can do better, things that we can really do. And the way the book started for you is kind of a gift to someone that you love very much. I love that story. Jason: Yeah. I wrote the book for my wife as a gift and we experimented with the tradition. She actually didn’t know why we had put this jar on the counter to fill up with change. We talked about what a neat thing it would be to give it away, but she didn’t know that there was a story rolling around inside my head, and then later on my laptop, until I gave it to her at the end of the year. Yeah, it is a special thing for my family, and it’s neat for me to know that years from now, when I am long gone, my children and grandchildren will have that — the book and the story behind it. Doug: You and I have discussed this before, and Angie has heard this, too. I just so admire people who do leave something this tangible behind, and it will become a tradition. Certainly there are books that are written and they are read several times and then they are forgotten, but certainly not Christmas Jars, and not other books that just resonate with the human spirit — and especially when it kind of embraces a beloved holiday, an event that just brings out so much emotion in all of us. It must be extremely satisfying to really do look into the future, generations down, and realize that somebody, many people, will be reading that to their kids and really employing that concept. Special editions of that book have been made as well. Tell everybody about that. Jason: That’s right. There is a gift edition. A very gorgeous hard cover, I think, with a really nice gold foil cover that is available. 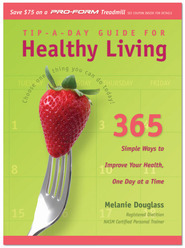 And this year, for the first time ever, the book will truly be available nationwide. Any outhouse you walk into you are going to find that book on the shelf. This, now in our third year, actually, the book will have probably its biggest year this year. We have had great support from some of the national retailers, the great folks at Walmart, for example, making a huge commitment to carry the book in every Walmart in the country, and that is something we have not been able to do the first two years. And you mentioned the legacy of the book. The movie, I think, will really, really help that. Doug: Let’s get to that, the movie. I remember the last time we chatted we were talking about the fact that there were real serious rumblings about a movie. Where do we stand? Jason: The movie is in pre-production now. It has been funded. Keith Merrill, who is very familiar to your audience, I would hope, is the director of “Mr. Kruger’s Christmas,” and “Testaments” in Legacy, down the street here. He has put in place a great team. They have a great producer on board, a casting director, and they are close to making a casting announcement. I imagine that will come maybe by Thanksgiving and then they will start shooting either the last couple weeks of this year or the first couple weeks of next year and then, fingers crossed, it will be out sometime a year from now. Maybe a little later, but next year for sure. Doug: We chatted about this before. Authors have different attitudes. Some are very protective and every single word that changes is like, you know, cutting off a limb. Others are very open about it — Nicholas Sparks, for example, said, hey, “The book’s the book and the movie’s the movie and never the twain shall meet,” and hey, whatever. And, “I enjoy seeing it on the big screen. Sometimes they make a little change that bothers me, but overall sometimes they actually improve it and I like the money.” Where Tom Clancy is ready to shoot anybody that changes anything dramatically. Doug: How about for you, as the person who brought this to fruition, and it’s in print. What about the movie? Jason: You know, I care too greatly for each of my limbs. I have a very personal relationship with all of them and I would hate to see them go just on account of, you know, a subplot or two that I didn’t care for. I have read the script and there are a few modest changes. There is a love interest that is not in the book that you will see in the film. There is sort of an antagonist, sort of a minor character that is in the movie who is not in the book. But I have met many times with Keith about this and I feel it is a better screenplay for the changes. Doug: Let’s talk about The Wednesday Letters. I was so intrigued. As a matter of fact when you came in you caught me in the midst of reading it. Now I haven’t read the whole thing, so don’t give away the end yet. And I am so tempted to open this little envelope at the back. . .
Jason: Don’t do it! Don’t do it! Doug: This is so unique because the epilogue is in an envelope at the back of the book, and it’s not even sealed. Is it sealed when. . . Angie? Doug: No. It’s wide open to tempt us, right? Jason: And all credit for that, by the way, a shout-out to Chris Schoebinger, the product director at Deseret Book and Shadow Mountain, who came up with that concept and who pushed it through, because that took some extra work, obviously, you know, to get 150,000 books printed that way. But he pulled the right strings and got it done, and I think the book stands out in the marketplace right now because of it. Doug: You know, I love the way the book looks, too. It is just attractively packaged, ready to go. I like the size of it. I like the readability of it. But let’s come back after this brief break and lets have you, as the author, introduce us to Jack and Laurel, and also the kids, Matthew, Samantha, and Malcolm. There are grandkids in this as well. We will introduce the characters and the overall concept without giving away the end, for those of us who are just in the process of really getting embroiled in the book. That is coming up. The Wednesday Letters the title of a brand new book by the author of Christmas Jars. Jason Wright with us on Everyday Lives, Everyday Values. Doug: The Wednesday Letters — that is the title of the book that we are discussing, published by Shadow Mountain, which is in imprint of the Deseret Book Company. We are very pleased to have Jason Wright, the author of not only The Wednesday Letters, but also Christmas Jars’ which we have already spent a little time talking about, here with us. Tell us a little bit about this story. Introduce us to Jack and Laurel. Jason: Jack and Laurel Cooper are sort of a semi-retired couple, in advanced age, and they run a bed and breakfast out in Woodstock, Virginia, where I now live. We could maybe talk about that a little bit later. Doug: We will mention, the guy fell in love with this area and now he is in there with the locals. But we will get into that in a minute. Jason: That’s right. Woodstock is in the Shenandoah Valley in Virginia, which is truly a slice of heaven on earth. I would suggest anybody come on out and you can stay in my basement. It is just a gorgeous place. Doug: You obviously haven’t been to Eureka, yet. Jason: Well, I have heard. I’ve heard. Doug: Well, I’ll explain that later. Jason: And this bed and breakfast, they have run it for quite a few years. Their children, at least two of them, were raised running this bed and breakfast together. It is a family affair. At the very beginning of the book, on the same night that Jack and Laurel pass away, of different causes, coincidentally — and I’m not giving too much away because. . .
Doug: . . . where you find out what the deal is with Jack and then, I mean, in the initial lines you can tell there is something cooking, too, with Laurel, and it just really sets the stage. Jason: That is so true. And all of the greatest documents this world has ever known, still today, all those documents were handwritten. The Declaration of Independence, the scriptures, the list goes on and on. Doug: In many times letters, like Paul’s letters. Doug: And you look at Jefferson’s letter to Maria Cosway, the heart and head letter, and. . . so you. . . I can’t imagine. One of my first, as I was digging into your book I thought, “I wish that I had the letters between my grandparents.” Even though they probably weren’t Wednesday letters and probably didn’t happen with anywhere near the regularity, there are a few. But not all of them, certainly. Jason: Yeah. I have had so many people. . . the book’s been out a couple of weeks now and I have had so many people who have e-mailed or called to tell me similar stories about their lives and how one woman told me how her parents met. He was home on leave during the war. They got married two weeks later, and he was back. So two weeks — they knew each other, they got married, he was immediately back fighting the war, and their entire relationship was developed through letters back and forth, as a married couple. And this went on for many years during his service. They have those letters today as a memory of their parents who have now passed away, and she said they would go to battle over those letters. I mean, those are the most priceless collection. Doug: Oh, absolutely. Since we are learning about Jack and Laurel and the relationship, and the “secret” in the family, in retrospect, let’s deal with the kids that we are actually being introduced to in real time. I understand Malcolm is the black sheep of the family, gone for two years. I’m assuming that wasn’t an LDS mission? Jason: Yeah, not an LDS mission — although he was in Brazil, where I served, and where about four gazillion of your listeners served. No. He has some trouble with the law and that sends him off out of the country for a couple of years. And it is the death and the phone call that he gets from his younger sister, Sammy, that brings him back into the country. Malcolm is sort of the classic black sheep. He is the middle child and he always feels like he has never really known how he fit into the family, and he will certainly find out over the course of three or four days before the funeral. Doug: For you, do you have a pet character here, the one that you just loved writing about the most. The one that maybe you identify with the most? Jason: Um, that’s probably Malcolm. Malcolm treats himself. . .
Doug: Oh, we’ve got to dig into this. . .
Jason: Yeah. I hope my family’s not listening. No, Malcolm is an aspiring writer and he is working on a novel while he is in Brazil. That’s his excuse for him being down there as long as he is, and he comes home and the novel is still not quite finished. But I do see some of myself in him. There is also a character named A&P that I really, really love. She is introduced very, very early on in the book as a single woman who becomes almost a sister to Jack and Laurel, who lives nearby, and she is filthy, filthy rich. Her mission in life is to give that money away. She is a real fun character that I think people can relate to. Everyone wants to know an A&P. Doug: It seems like not only Malcolm has some issues, but the other two kids, too. Jason: They do. The oldest child, Matthew, lives up in the Northeast and he is in the financial sector. He is sort of the three-piece suit sort of son, and I guess, as the oldest, maybe the protector, a little bit. And then the youngest child, Samantha, is the one who stayed close to home, who has never left. She becomes a local policewoman. She is the one who is there first when she finds out that her parents have passed away in the night. She very much is the glue that brings the two other brothers together. If not for her they probably don’t survive that three or four-day period of time when they deal with some real secrets they read in those letters. Doug: What a great concept. What a great idea. And, as I said, you know, Christmas Jars motivates us in a different way, but already, just in the time that I have had this book and the opportunity I have had to read the pages, I am just motivated to do more within my family, and whether it is something structured like a Wednesday letter, but to put more in print and more in writing. Thoughtful writing. Jason: That’s right. And I like the point that you made about e-mails. It is not just that we tend to quickly — in fact, I sent my wife a note this morning to say, “Hey, love ya. I’m on the road.” And it was about 15 words long. Doug: Isn’t it basically like the postcard? Doug: You know, what the postcard was for our parents or grandparents? Jason: But with a slight difference, because postcards we do tend to save, because there is someone’s hand on that. Someone has put their hand, brushed it across and wrote a note, and there is something so personal and intimate about that. E-mails, gosh. How many of us save e-mails? I mean, when was the last time you got an e-mail that really meant something to you that you printed off and put in a file or a box somewhere. We just don’t do that very often. Maybe occasionally, but not as often as we do the handwritten letters. And that idea that a marriage could develop through a novel, entirely through letters, has always appealed to me, and the story has actually been rolling around inside my empty noggin’ for a couple of years. It was just finding the right place and the right time and the right circumstances to tell the story. But I always thought it would be fascinating if the children got to know more about their parents in death than they did in life. Doug: That is an amazing thing. I can only imagine in this case where these kids are going through all of these and the whole, you know, marriage, is basically documented in the Wednesday Letters. Jason: Yeah. And there are almost 2000 letters there, so there is a lot of personal history that they are unfolding in a very short period of time as the funeral is fast approaching. Doug: Right. With The Wednesday Letters now out, in print, ready to go, I’m sure it is going to be a wonderful best seller. Oh, by the way, we need to mention — Angie was reminding me that this debuted, what, #6 on the New York Times? Jason: Yeah, #6 on the New York Times Bestseller List. We have been extremely fortunate. Yeah, we are three weeks running on the list and we have just been very, very blessed by the success of the book. Doug: How does that feel to be on the New York Times. . .
Jason: You know, I’ll tell you. I’ll give you the short version of the story. I knew that the news of the list would be coming on a Wednesday, late in the day, and the “Times” release the list early just to publishers, essentially. And we knew that I would be getting a call, for good or bad, from Deseret Book on this Wednesday several weeks ago. We had decided to go out to dinner, so we were sitting in the drive-thru at Kentucky Fried Chicken — because that’s dinner when you have four children. A nice dinner out is KFC drive-thru and then eat it at the park. Jason: And we are sitting in the car and the phone rings and I know that it is them, and I know that it is about the time, by looking at my watch and doing the math, that this is probably news about whether we have made the list or not. And in the back of my mind we always thought maybe, just maybe we could scratch the very, very bottom of the list, where it goes down to like 30 or 32 or something. And I had to get out of the car because my baby, my 4-month-old, is just screaming his head off. She’s still — my wife — in the drive-thru, and I am standing in the parking lot when Chris Schobinger and Angie and others at Deseret were all gathered around the speaker phone, and they said, “Guess what, you are #6 on the 'New York Times' Bestseller List.” And I screamed and jumped up and down like a 12-year-old girl at a birthday party. Doug: I was going to say, was it a girly scream? Jason: Oh, it was so girly. I would recreate it for you now, but your listeners don’t want any part of that. Doug: That’s right. We have certain standards on this show. Jason: Yeah. It was a real dream come true and I will never forget how that felt. And I know my wife said, “I’m pretty sure I know what that means,” because she could see me in the rearview mirror jumping up and down and waving my arms, so it was a neat experience. And something, you know, if it never happens again — if I never write another book that anybody wants to read again, except for my dear wife — we’ll be very fortunate for the ride we have had the last month or so. Doug: What a great experience. A great experience. We mentioned, kind of in passing, that you so fell in love with this area that you did the research on, the Shenandoah Valley, Woodstock, that you are now a resident. Jason: Yeah. That’s right. We lived in Fairfax, which, your savvy listeners will know, is about 25 miles west of Washington, D.C. And we needed to live there because of work and whatnot, and when it looked like we had an opportunity to get out of the city and go somewhere else, well, shoot, I had been spending the last six months of my life driving out the 80 miles or so to Woodstock and getting to know the city leaders and the local businesses and the town left a mark on me in a way that I can’t really describe, and when we decided that it was time to get out of the rat race of Northern Virginia, which is a mess, and go out to the country, so to speak, uh, Woodstock is — it was the most natural decision we have ever made in our lives to move out to that small little town. And we have never been happier. Doug: Oh, that is great. We are almost out of time, but have the locals, have they embraced you? Jason: They have. It’s a little weird. They treat you — me, in this case, I guess — a little bit like a big fish in a small pond. It’s kind of fun. I think my kids enjoy it more than I do, but it’s a place I think we will be for a very long time. I will not be writing another book…people ask me this all the time — “So your next book – why don’t — you base it in Maui, or in Kauai, or. . .
Doug: Jason, it’s always fun to have you on the program. Thanks so much for joining us. Congratulations for all of the success of Christmas Jars — I look forward to the movie, and now with The Wednesday Letters. And, again, very quickly, another book in the works? Jason: Another book based in, actually, New Orleans. . .
Jason: . . . in the immediate aftermath of Katrina, and that will be out, hopefully, next fall. Doug: Jason, thanks for being here. Doug: The Wednesday Letters, published by Deseret Book through their imprint, Shadow Mountain. Runtime Unabridged: 6 Hrs. 17 Min. The Wednesday Letters is a fun book to read. It's tough to put it down once you start. I enjoyed reading about Jack and Laurel and their family. I like the idea of Jack writing letters to Laurel every week. I wasn't expecting the tragic beginning so quickly, but I love the way that the story ended. This is a must read. Love. Untold stories. Letters. This book is unpredictable! It captures the unbearable truths of the Coopers lives. Completely outstanding! This book surprised me, as I expected something sweet and simple. At its core is a difficult situation, one requiring repentance and forgiveness in a marriage. Much as we would like it to be, this is not unusual in life--circumstances might not be the same, but the need for understanding, forgiving, rebuilding is nearly universal in one way or another. I thought this book depicted that beautifully. Great 2nd book for Jason! This book's story is compelling the further you read; the characters are very real. I feel like I want to go meet them and see how their lives are going since the book finished. :) Drama, suspense, mystery, love, forgiveness, peace...my husband even liked it very much (as he thought it would be a girls' novel) and especially the father-son relationship parts (the final letter in the back of the book in particular). I loved that unique and creative aspect, having a real letter in the book as an epilogue. Great work! Wonderful book. Touching story about a man and his wife and their wonderful marriage. If you love to read, this book is great!! Plus it's not real long so if you don't have time to read a lot, it's perfect!! This is an Amazing, and FAST read. This is a must read for fiction lovers. 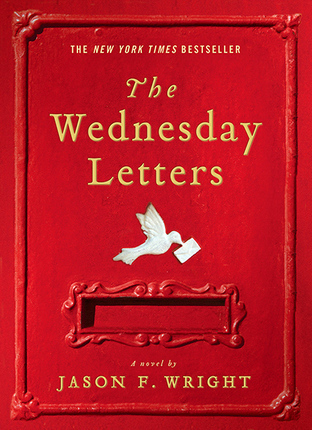 The Wednesday Letters is a great fictional read. By delving through a collection of old letters, a hurting family comes to understand each other and their parents better. Really reminds us of the importance of not judging, rather loving and understanding each other as Christ does. I would recommend parents read it alongside youth and discuss some of the topics involved as they are a little bit mature. My husband and I read this book together in just a couple of days. It was hard to put it down. This story will make sure all your emotions are in check. This book was a disappointing read! I read this book for a book club and I was sorry I spent the money. The author is a great writer but I felt the content was not acceptable. I came away feeling sad instead of uplifted. Fiction geared toward the LDS audience is often cheesey at parts and unrealistic. I was very impressed with The Wednesday Letters because it WASN'T the typical. It was realistic emotionally and in situation; and, it played to the intelligent reader. Yes, the content was rather mature, however, there was nothing in the book that qualifies it as not acceptable to a reader who values their morals. Good job! Keep up the good work. A little different from the usual Church book, but well worth the read! 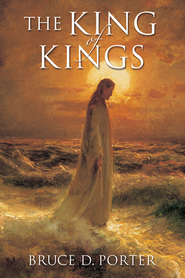 This books is a little different from the usual Church fictional books that I have read, but it made a pleasant change. It was written in such an interesting and vivid way, that made you believe the thoughts of the main characters, and then you realised that you too were led into the incorrect assumptions, along with the characters! I have recommended my friends to read this book, it is something you can relax with, and is not all "sugary" nice - for life is not like that. I enjoyed the book, and I am sure many other readers will as well! This book has a great idea. I wish I had thought of doing something like this when I first got married. There are relationships shown that grow with love. I have never read any of Jason's work before, however I must say that the Wednesday Letters book was quite interesting. I had a hard time getting into the book, but when it came to the letters and being able to see how this father and mother worked through their problems rather than give up on each other, which is the worlds answer, I was pulled into the story more. I thought it was an okay book, but many others I have talked to loved it, so read it before you judge it based on my opinion. It had some real life lessons that had to be learned, mainly about forgiveness of things they were not in control of, and then moving forward with life. It also delt with hard parently decissions about their children. This book is so touching in so many ways! I loved it! It was a good book. It had some mystery and kept you reading to find out...the twisted truth. I enjoyed it. I'm glad to see that as membership in this church continues to grow and diversify, so do our stories. Each of us has a different story to tell, and there's probably someone out there who can personally relate to The Wednesday Letters. Enjoyable, though not your run-of-the-mill read. I have thoroughly enjoyed all of his books! Jason Wright has a way of bringing you in and keeping you interested. Once I start reading, I have a hard time putting his books down. I am looking forward to reading his new book, Recovering Charles. I thought this was a great book. It was a fast read. I throughly enjoyed it.